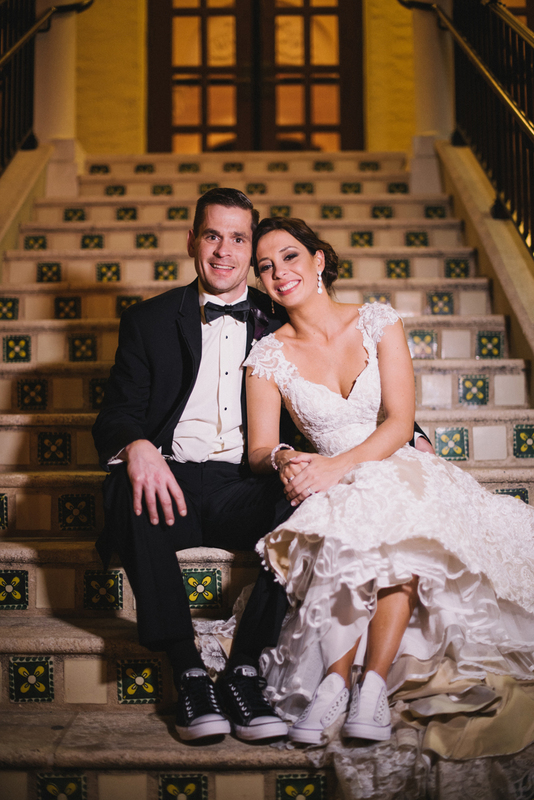 During our first meeting, Gina and Daniel told me that they wanted a to plan a great Palm Beach wedding! 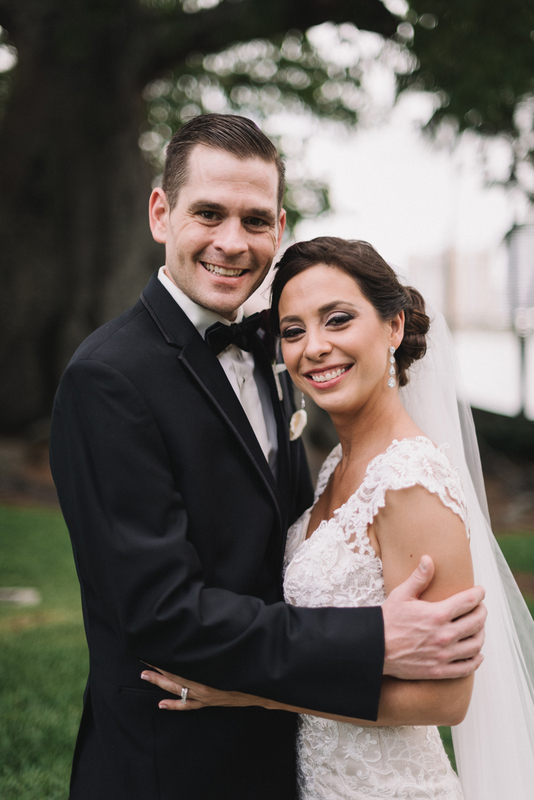 They wanted to be able to let their guests relax and enjoy their special day. 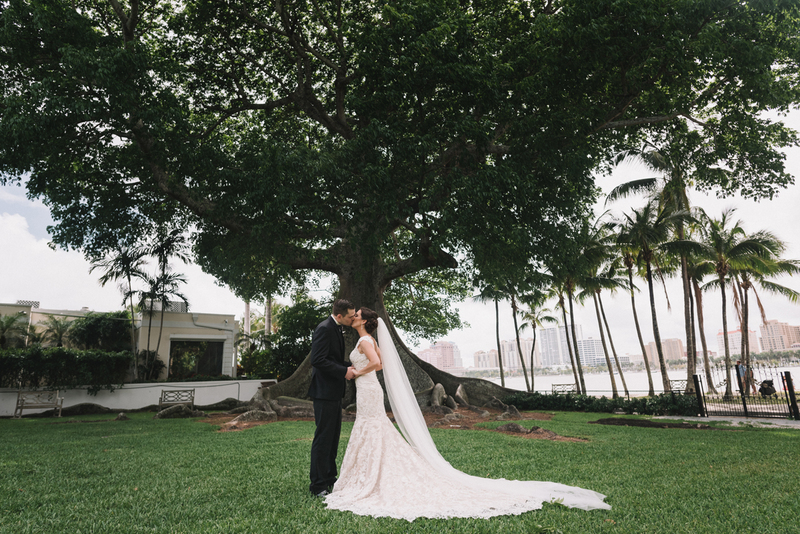 It was such a pleasure be their Palm Beach wedding planner. 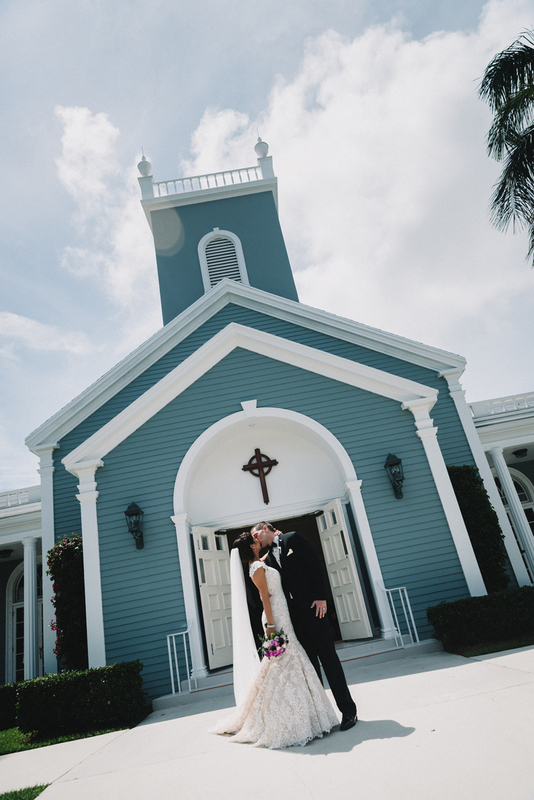 We started the day at Royal Poinciana Chapel for the ceremony. 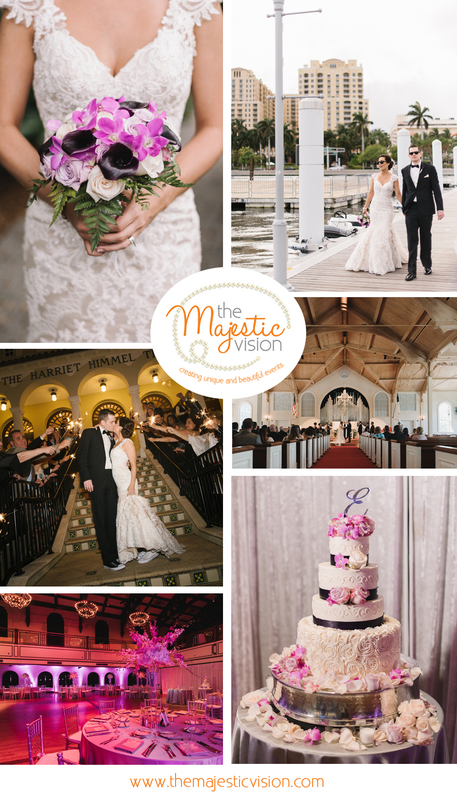 The 120-year-old church stands adjacent to the historical Flagler Museum along the bank of the Intracoastal. 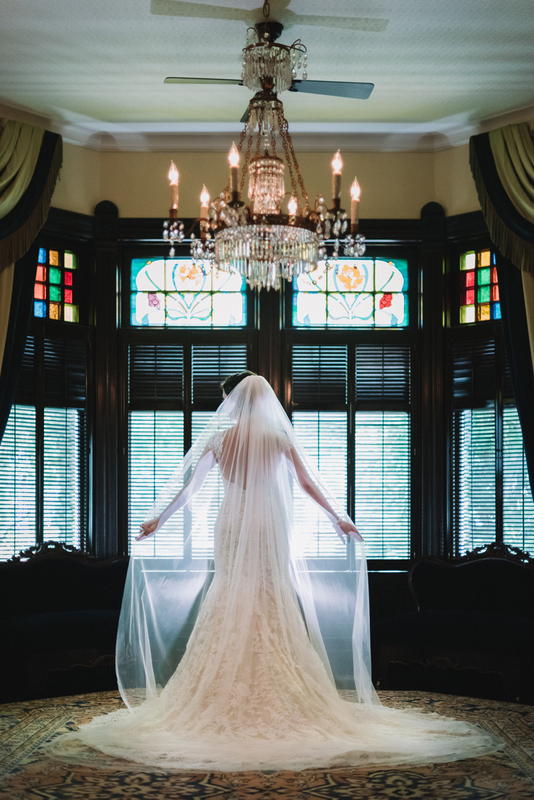 The views of downtown are magnificent and make for wonderful photos. 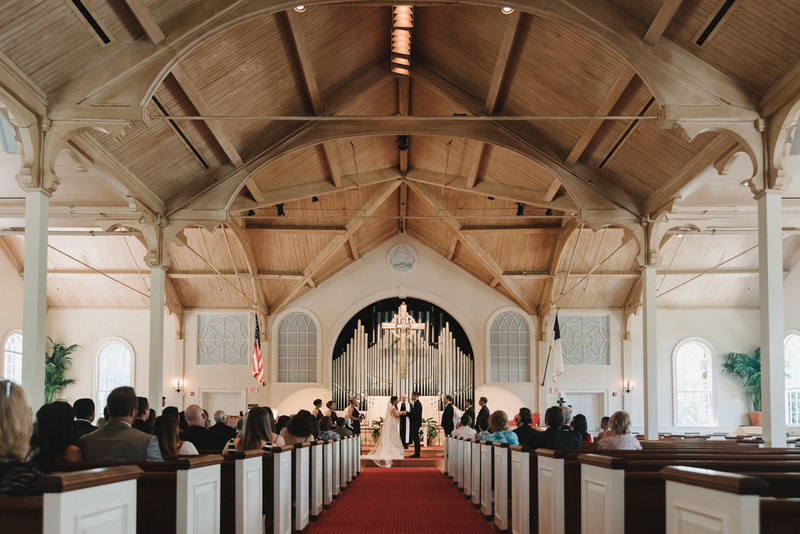 Inside the church, the highlight is the stunning pipe organ that serves as the backdrop to the alter. 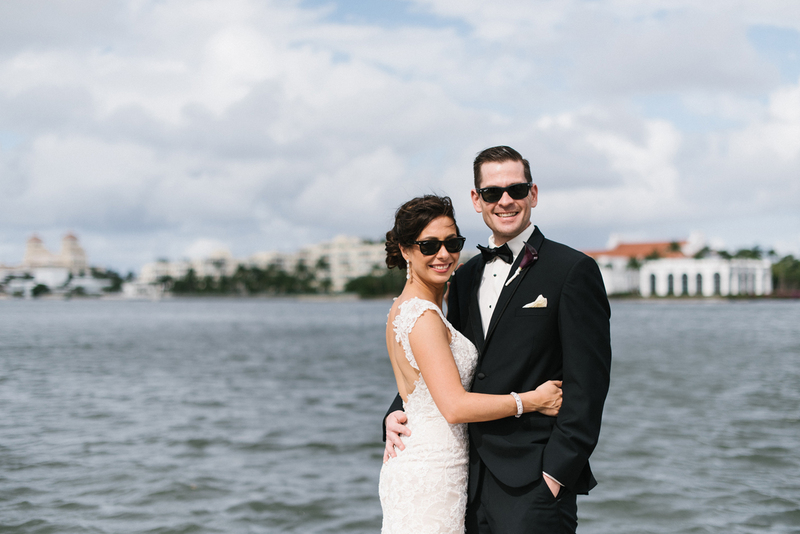 It was the perfect setting for Gina and Daniel’s nuptials. 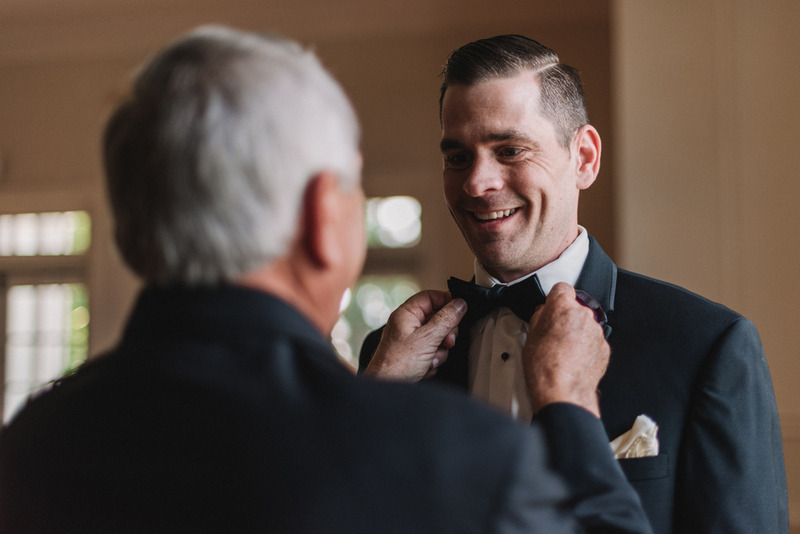 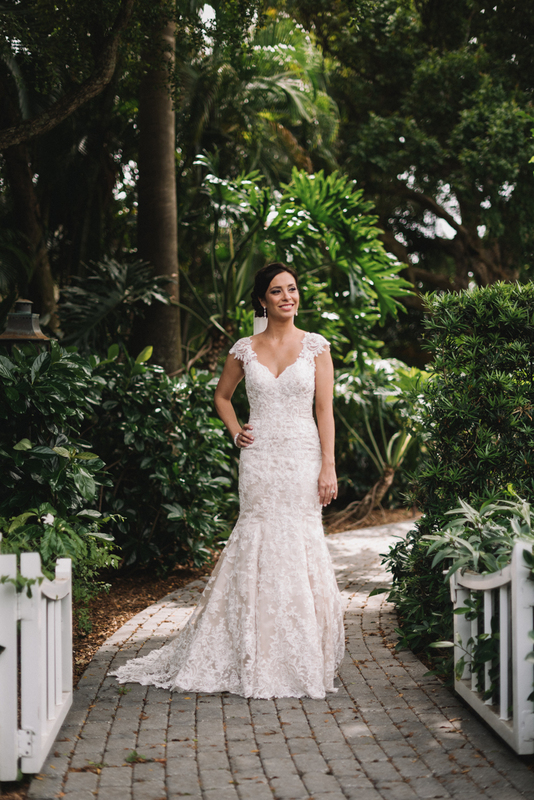 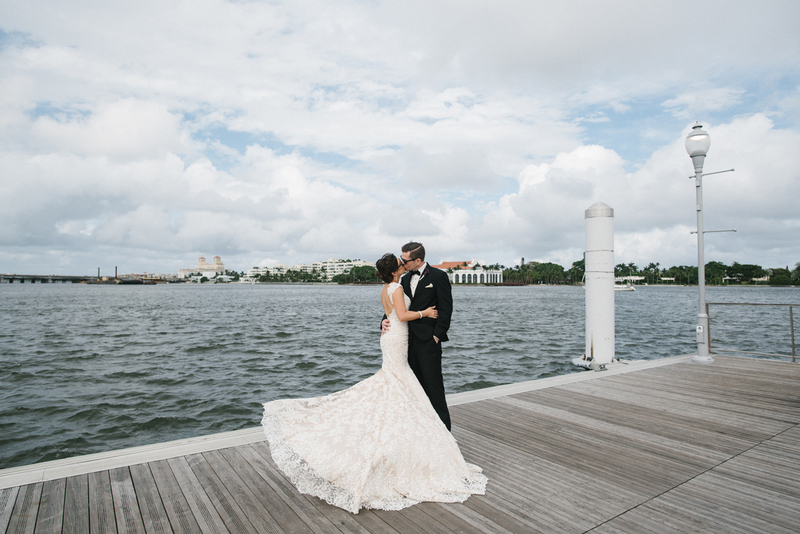 After the ceremony, VIP Global transported the wedding party throughout downtown West Palm Beach to capture the essence of the city where Gina and Daniel fell in love. 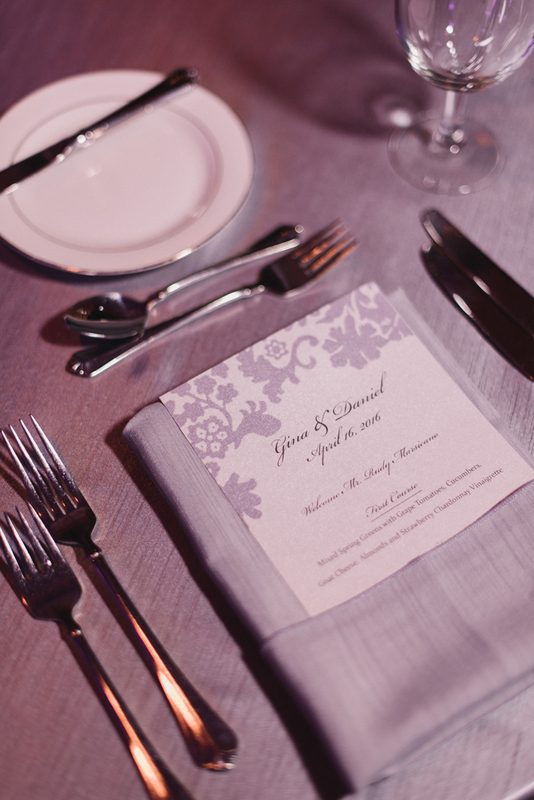 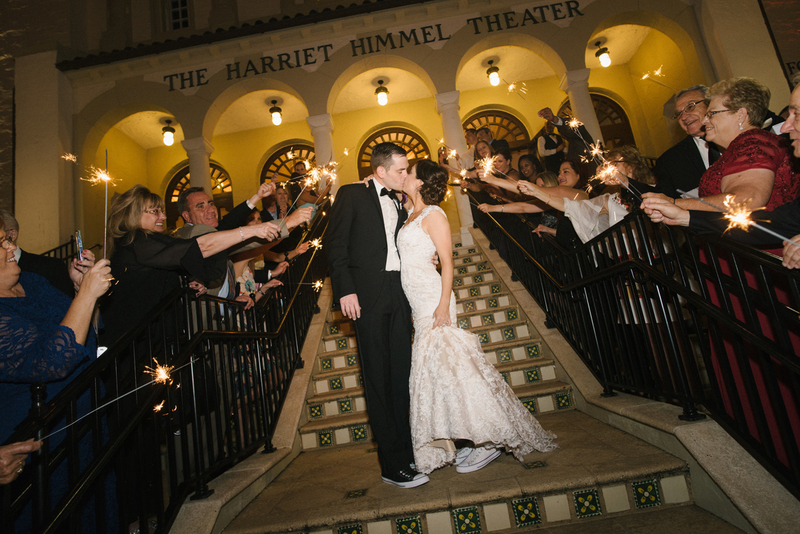 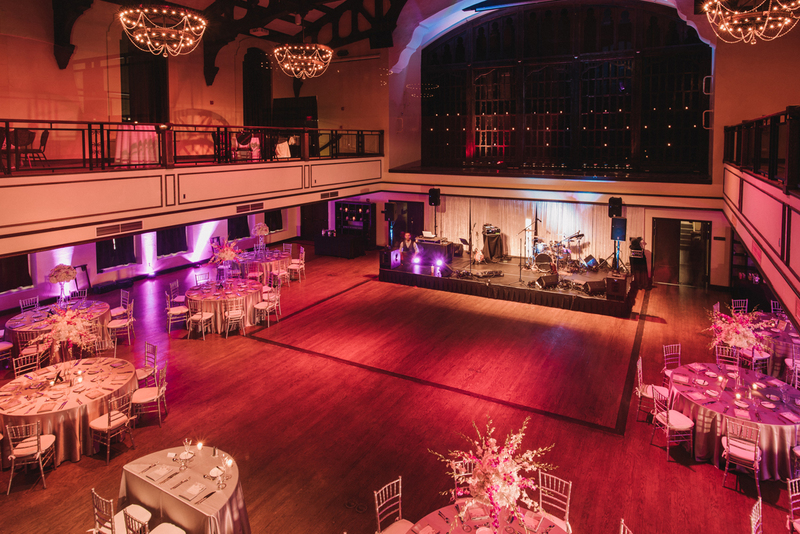 Upon arriving to Harriet Himmel Theater, guests were welcomed by an elegant purple and silver color scheme. 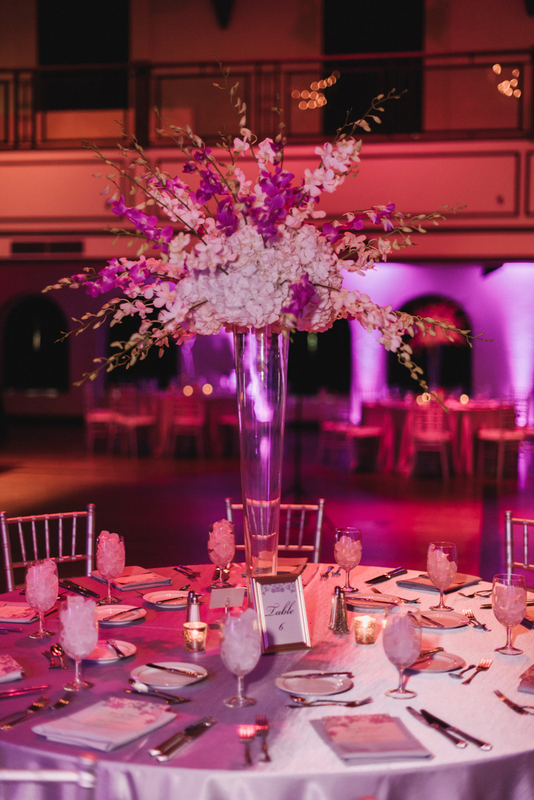 J Morgan Flowers created stunning firework centerpieces filled with orchids, hydrangea and roses which sat upon silver linens. 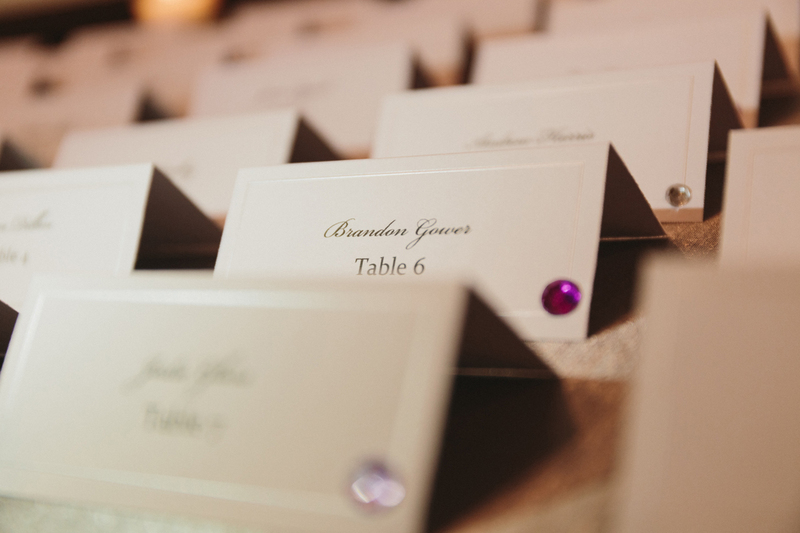 Each place settings featured personalized menu cards for the intended. 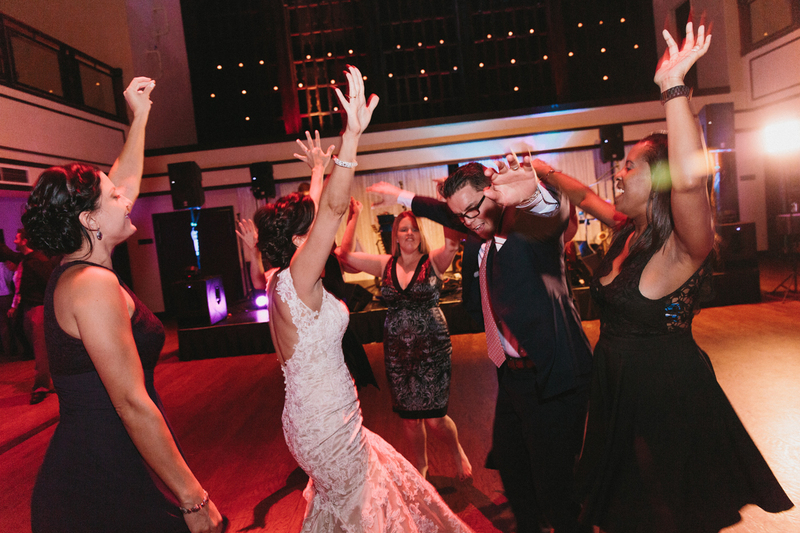 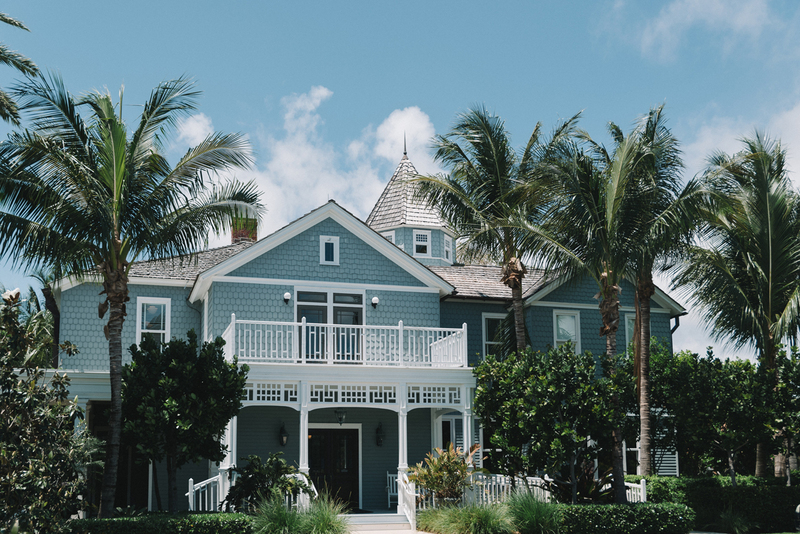 Truly wanting guests to enjoy themselves, Gina and Daniel opted to have Bay Kings Band get the party started and have Bassline Entertainment DJ to bring the party home. 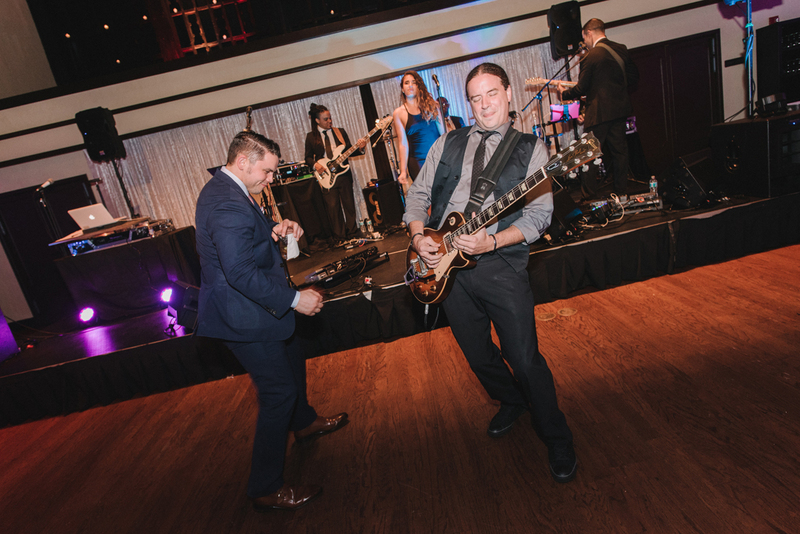 The combo of live band and DJ was so much fun. 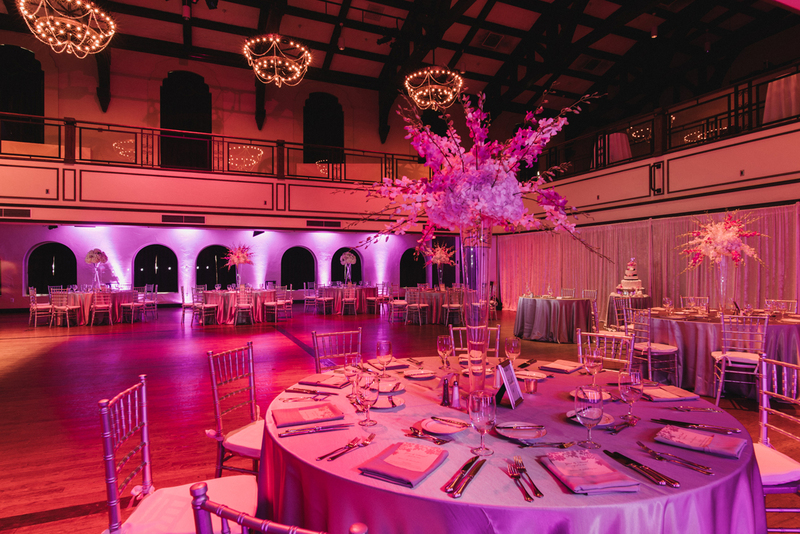 By the end of the night, guests didn’t want to go home. 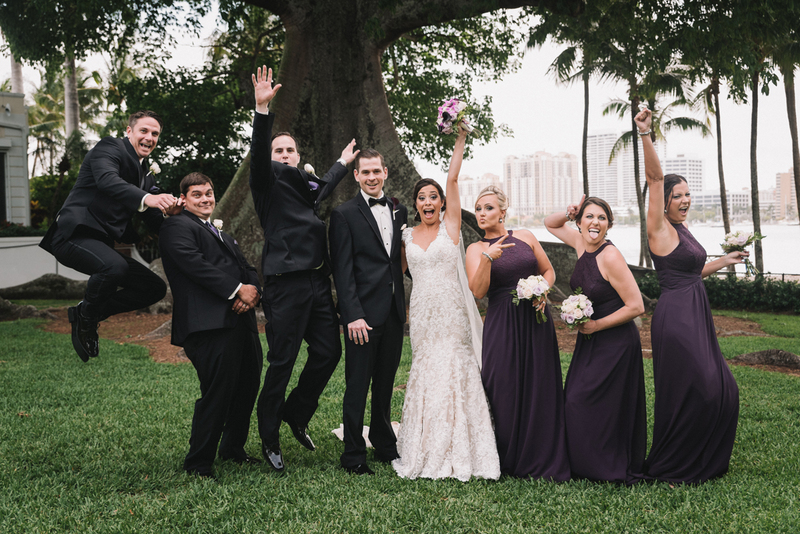 Who could blame them? 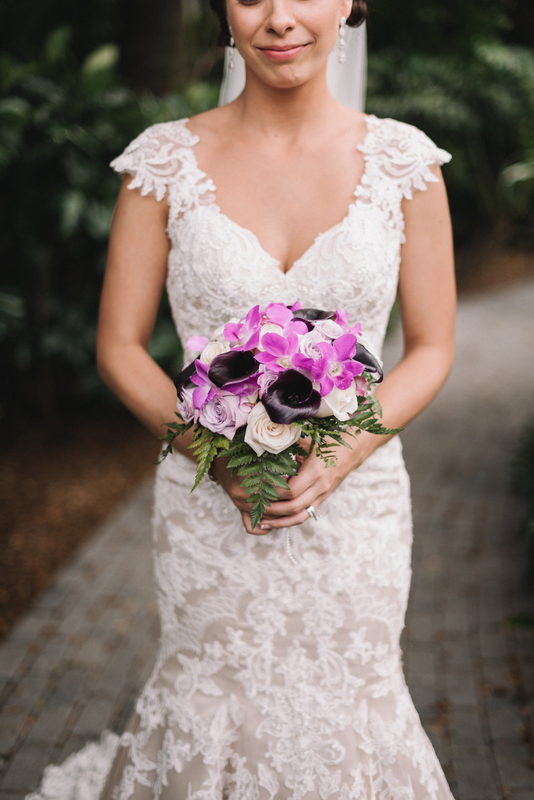 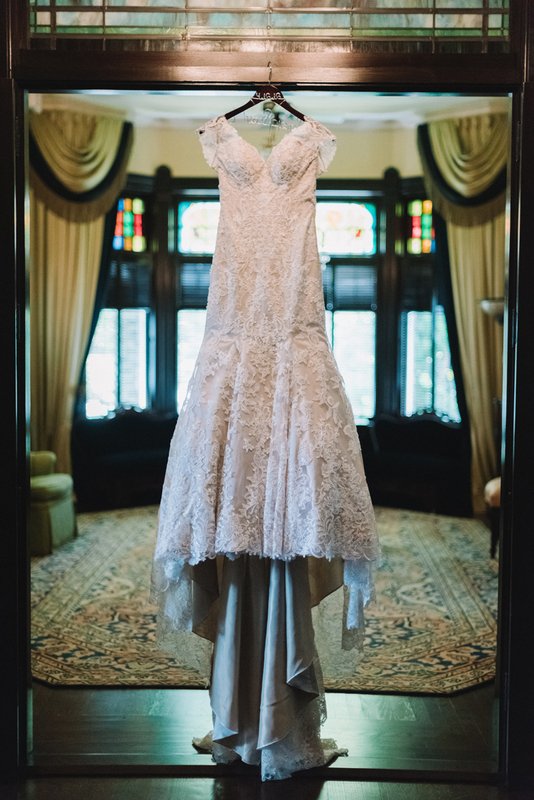 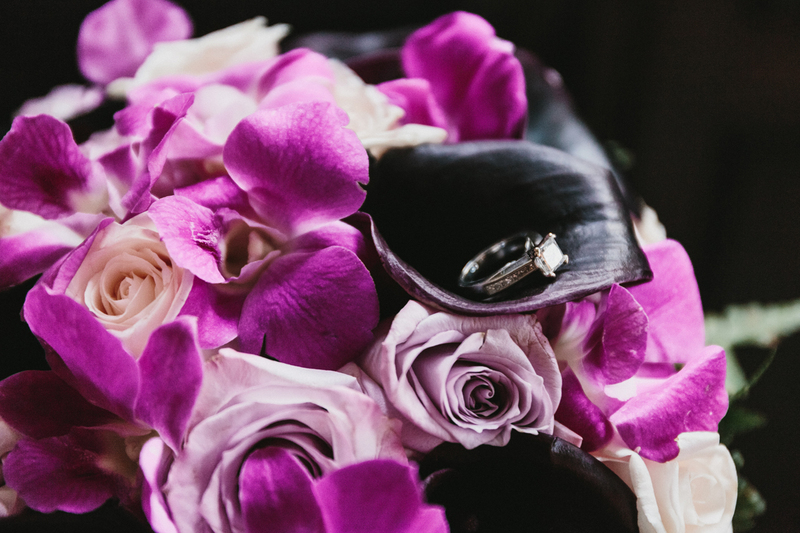 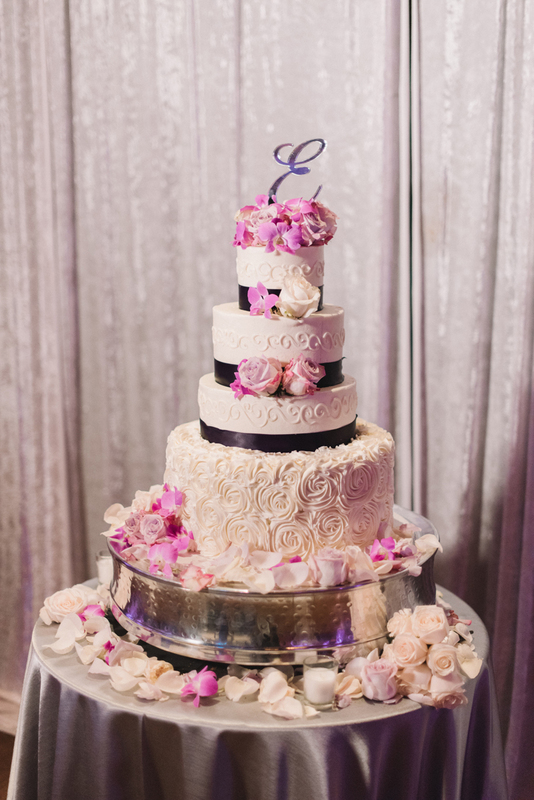 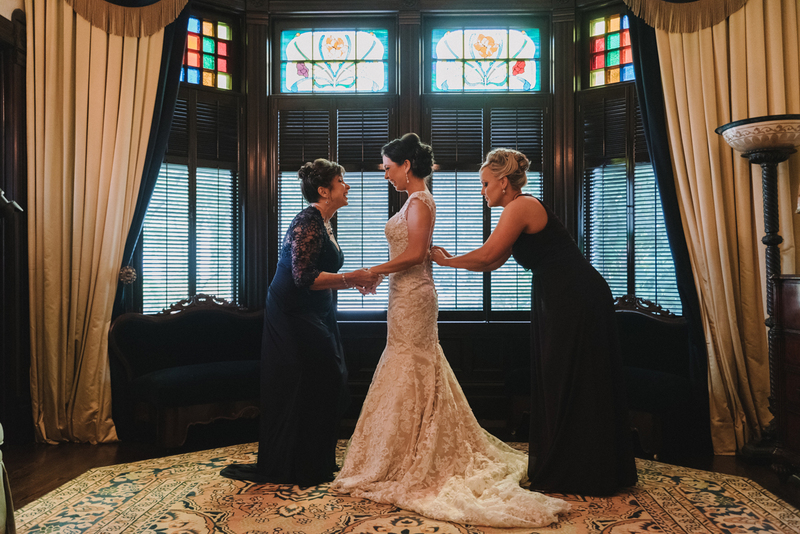 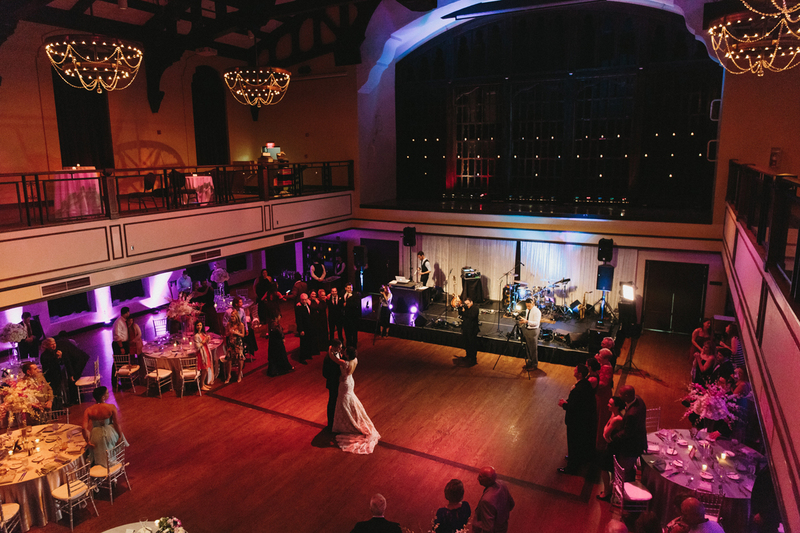 Every aspect of this elegant purple and silver wedding was captured perfectly by Robert Madrid Photography and Anchor Weddings.